In our last Foundations of Service-Learning post, we prepared your community partner relationship. After laying the foundation, how can your community partner join in the education that comes from service? 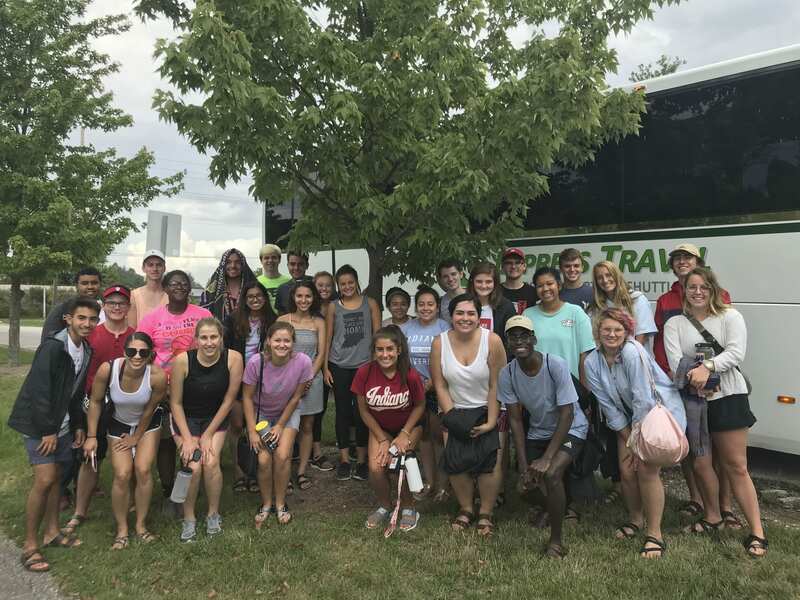 At nearly 30 agencies, Advocates for Community Engagement (ACEs) support service-learning by serving as liaisons among local Bloomington agencies, IU faculty, and IU student service-learning students. Placed within local community agencies, ACEs serve as staff members for that agency, gaining intimate knowledge of the agency mission, values, goals, programming, and needs. ACEs provide a variety of supports to you and your students. They develop service-learning partnerships, orient service-learners to their agency, schedule their shifts, and track their hours. Visit our ACE page to learn more. In addition to thinking of an ACE as a service-learning coordinator at your community partner, ACEs can utilize their expert knowledge to enhance your course content; they offer peer support on and off site and are available to answer questions, provide direction, address issues, and encourage your students. ACEs can also support the development and implementation of assessment tools to measure the effectiveness of the service experience. These two means of support are the most utilized means of co-education community partners provide. Co-education is increasingly a part of our conversations with faculty on building partnerships, as a way to transform how students understand their position in the community. Working with ACEs to coordinate assessment and reflection ensures discussion is informed by the knowledge and expertise found at the agency, among its staff and those it serves. Opening space for this conversation also may give new insight into how your course could be structured to more productively feature service as a text, which will be discussed more in our next Service-Learning Foundations post. Not every community partner you may work with will have an ACE. In this case, your primary contact at the agency will likely depend on the kind of service. However, this does not limit the degree to which your partner can serve as a co-educator. Want to give your community partner more space to share their expertise? Ask your community partner if they have readings they would contribute to your syllabus, if they want to join in reflection, or if there are supplemental lessons or trainings that could make your students’ service more valuable to the agency and as an educational tool. If you’d like to learn more about co-education, schedule a one-on-one with Michael Valliant (mvallian@indiana.edu), our program director and primary faculty resource.